Ruth Ann Zamenski, age 70, passed away peacefully on Friday, January 25, 2019, at Otsego Memorial Hospital in Gaylord. She was born February 28, 1948, to Robert and Geraldine (Scott) Enos. Ruth graduated in 1966 from Sacred Heart Catholic School in Flint and married William Zamenski on August 6, 1966, at St. Francis of Assisi Catholic Church in Flint. She retired from K-Byte/Reptron of Gaylord, where she worked in Document Control. Previously, she worked as a Certified Nursing Assistant at an assisted living facility. 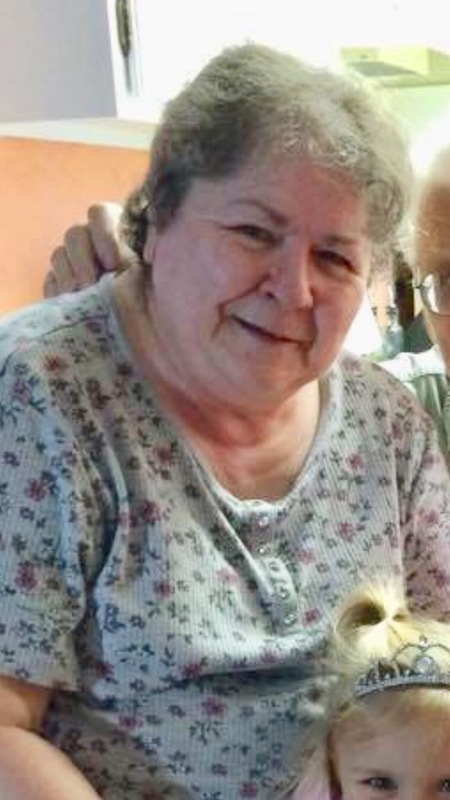 Ruth loved to gather with family and friends, playing board games and card games while sharing stories and laughing. She was a wonderful cook and baker. She also enjoyed crocheting and reading. Ruth was known as “Busia” to her two granddaughters, whom she loved dearly. They brought her so much joy and always kept her smiling. Ruth is survived by her loving and devoted husband, William; her daughter, Sarah Zamenski; her son, Adam (Kate) Zamenski and her two granddaughters, Adalyn and Lia; her brothers, James (Diane) Enos, Robert (Roxie) Enos, and Paul Enos; and many cousins. A Mass of Christian Burial will be held on Wednesday, January 30, 2019 at 11:00 a.m. from St. Mary Cathedral. Visitation will be held on Wednesday, January 30, 2019, at the cathedral from 10:00 a.m. until the time of services. In lieu of flowers, memorial contributions may be made to William Zamenski for a college fund for Busia’s grandkids. Prayers. Hugs and Love to Ruth’s family. Fondly Remembering Sacred Heart days! May she be free of pain now forever. Thrush, Your Reptron Work Buddy. She was a good hearted lady that would help anyone who needed it. God definitely gained another angel! She was one of a kind! Bill-We are sad to hear about Ruths passing. Know that you and your family are in our thoughts. I have fond memories of Ruth. We worked together at K-byte/Reptron. I always considered Ruth feisty, funny, kind and a caring woman. During your time here, you touched so many lives. I am blessed to have known you. Bill,Sorry about the loss of your partner in life. Adam, My Thoughts and prayers are with you and your family. I have fond memories of Ruth from our K-Byte/Reptron days! Your mom was so sweet and funny! Ed & Kym Inabinet and Family . Bill! Ginger and I were so sad to hear of Ruth’s passing you and your family are in or thoughts and prayers at this very sad time. Take care and support one another during these tough times! Oh Ruth you were such a loving sweet genuine soul ♡ This news saddens me 🙁 Sending many prayers for your loved ones! RIP Ruthie!